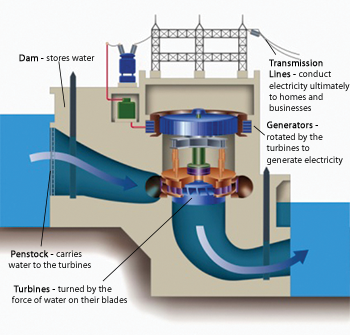 How Hydropower Works « Southeastern Federal Power Customers, Inc.
• Then flows back to the sea. 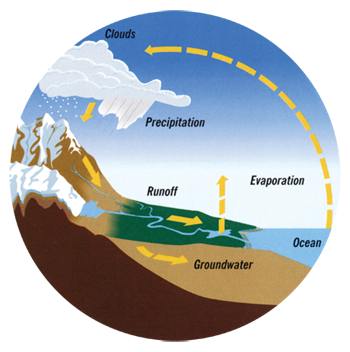 The energy of this water cycle, which is driven by the sun,is tapped most efficiently with hydropower. Impoundment Hydropower – Uses a dam to store water (see illustration). Water may be released to meet changing electricity needs and maintain appropriate reservoir levels. Diversion Hydropower – Channels a portion of the river through a canal to a penstock, but may require a dam. Pumped Storage – Pumps water from a lower reservoir to an upper reservoir at times when demand for electricity is low. 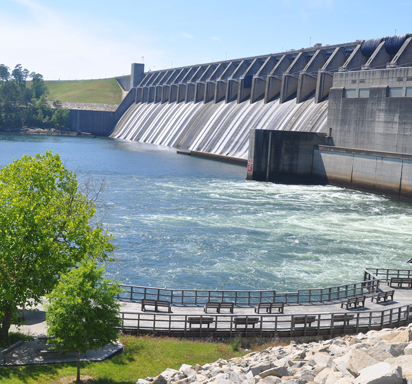 During periods of high electrical demand, the water is released back into the lower reservoir to generate electricity. © 2018 Southeastern Federal Power Customers, Inc.